From time to time, the CRTO receives inquiries from Members regarding their employment and volunteering activities, for example, when considering the Inactive Class of Registration. 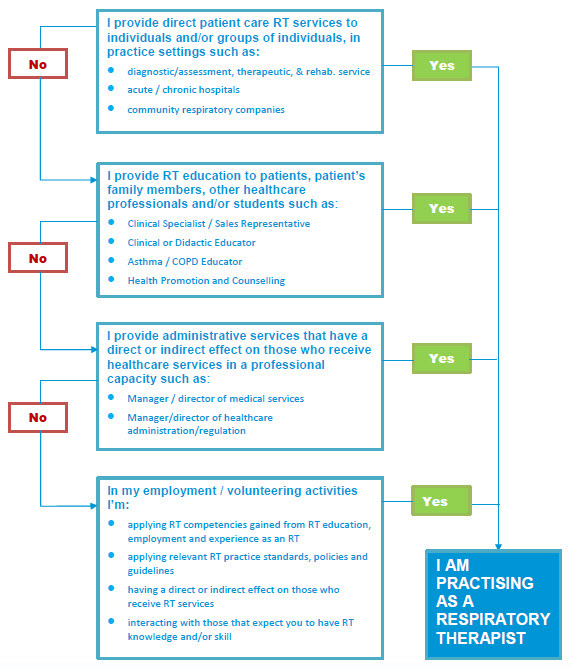 This fact sheet was developed to help Members determine if they are practicing Respiratory Therapy. Practicing Respiratory Therapy includes both employment and volunteer activities. You are a practising as an RT if any of the following apply to you. If you have any questions related to your practice, please contact Carole Hamp, RRT Manager, Quality Practice. AM I PRACTISING AS AN RT?